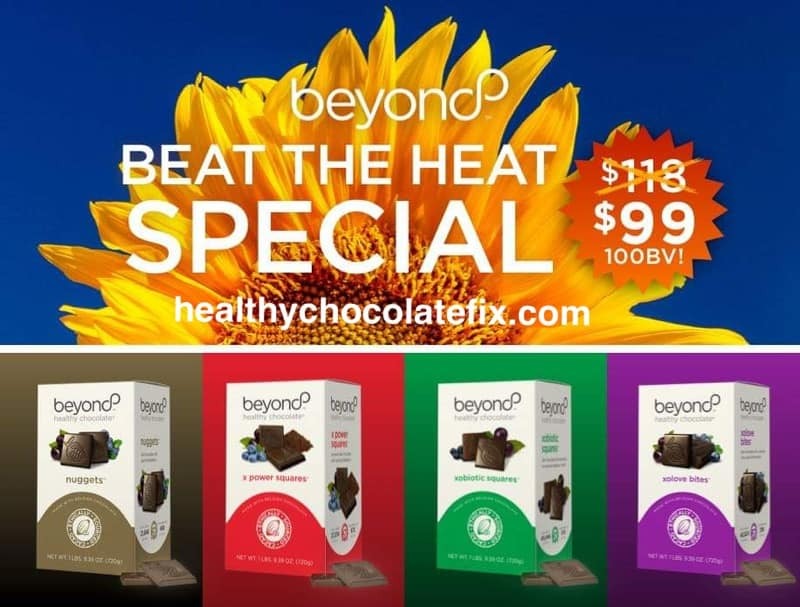 Beyond Healthy Chocolate SALE going on NOW! Today is the day to stock up on your favorite healthy chocolates! Just 3-4 a day gives you the antioxidant and flavanoids you need. Did you know one piece of Beyond chocolate is equal to over 1 pound of raw spinach in antioxidants? Ask me if I want spinach or chocolate and chocolate wins every time. This is not like candy chocolate, this decadent delicious treat uses a patented process and is not heated with no waxes, fillers or processed sugars. Don’t waste your time trying to find a better price on Ebay or Amazon. Order direct and save! Not only do you receive the best price possible, you are dealing direct with Well Beyond. YOU ALSO CAN BE SURE YOU RECEIVE THE FRESHEST PRODUCT DIRECT FROM THE WAREHOUSE! 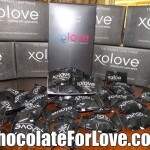 Order Healthy Chocolates on sale today! Most people start out with our chocolates but the Beyond 20 gram protein shake is awesome and a great way to start your day. The Beyond Beauty Cream amd C-Serum anti-aging line is wonderful as well for men and women. One bottle of the skin care cream stopped me from worrying about wrinkles or the laugh lines I used to get. 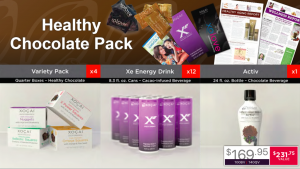 These are great items to try as well as the very popular Xe Healthy Energy drink that Bill O’Reilly mentioned as his Tip Of The Day on the Fox Show The O’Reilly Factor. Watch the short video below to learn exactly why our chocolate will benefit you and why it tastes so great. I recommend the Variety Pack that includes a variety pack of Nuggets, Xo Love Bites, Power Squares and Xobiotic Squares. A total of 120 pieces. 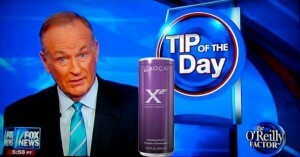 Fans also appreciate the Xe Energy Drink Bill O’Reilly mentioned. My favorites are the Beyond Xobiotic and the Xo love Bites which are meant to improve passion in the bedroom. Try them today or call us for details. Three Sons Marketing LLC can be reached at 941-676-7300. Just ask for Lynette or Wayne.